You just need more windshield time is all... just like any other car you will learn it's sweet spots... The internet can't give you experience. Retainers don't crack until about 10,000+RPM. You can replace them if you're worried...rather than worrying. The S2000 and 06-11 Si gearing is very similar. Neither car is anywhere near 6K RPM in 4th. At ~8400RPM, either car is doing about 85MPH in 3rd. Yes? Yes. Meaning 3rd gear in either car is about 6K RPM near 60MPH. 4th gear is at 6.2K RPM around 85ishMPH in either car. You're over thinking it. Both cars have roughly the same gearing...but very different torque curves. The only way to go fast is to rev the car. From a performance perspective related to acceleration focus more on your tachometer and less on your speedometer. In a nutshell you'll want to run through the gears while keeping your engine spinning in the upper third of it's RPM range. You should be able to feel this by the seat of your pants. But honestly if straight line performance is your primary objective then there are countless options preferable to a S2000. These cars weren't really intended to be enjoyed in a straight line. Maybe even consider getting yourself a motorcycle where you'll get far more performance for the money spent. I've got what is largely considered to be an "old man's bike" (in my case that's actually quite fitting). It's a Honda CB1100, a modern retro bike with an air-cooled engine. It was designed with more leisurely oriented riding in mind rather than performance riding. I love this motorcycle but like the S2000, I was not drawn to this bike with straight line acceleration in mind. The CB1100 is actually considered to be a slow bike by today's standards yet in published tests it still managed 0-60 mph in 3.3 seconds and ran the 1/4 mile in 11.79 seconds. Not too bad for a motorcycle that you can now pick up used for around $5K. After lowing my VTEC to 3600 I had to install a red line alarm as things started happening so much faster outside the car that there was no time to keep an eye on the tach. The car really revs fast. Loud alarm tells me I gotta shift or the rev limiter will cut the fuel. Work down the pattern to get to a lower gear. Skipping gears seems to be one of the ways guys get 2d rather than 4th especially when down shifting. 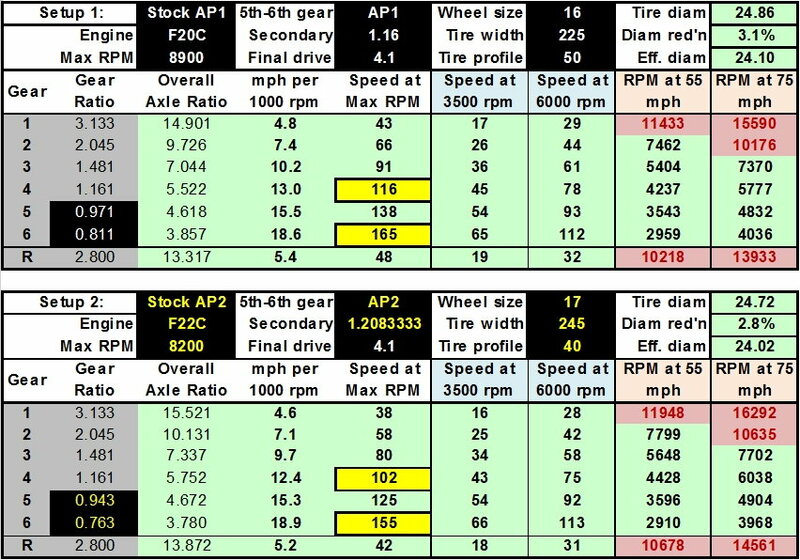 Maybe the gearing in the OP's Si has been changed I've had both a 07 & 13 Si and no way at 50-60mph in 4th are you tacking 6k with stock gearing. Last edited by NNY S2k; 02-10-2019 at 03:01 PM. Last edited by rpg51; 02-10-2019 at 03:27 PM. 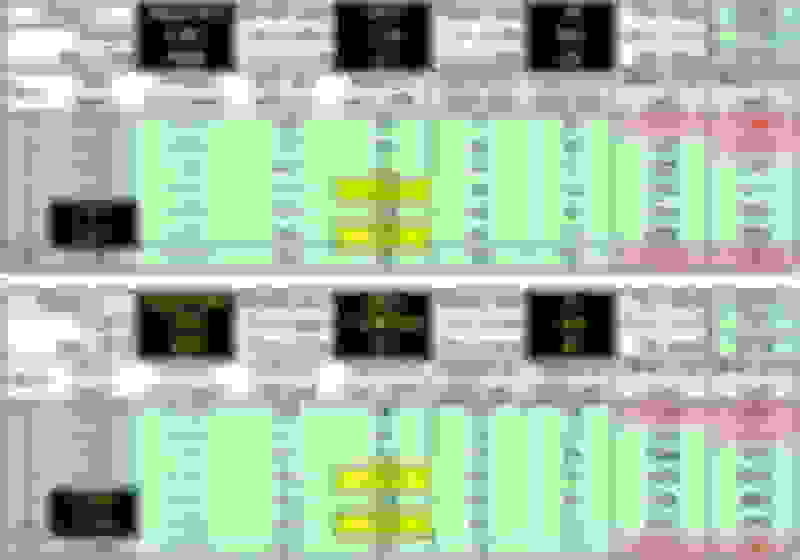 Good chart. Pretty much as most said ...6k in 3rd is about 60 mph.....I'm sure a stock Si is about the same. After lowing my VTEC to 3600 I had to install a red line alarm as things started happening so much faster outside the car that there was no time to keep an eye on the tach. I was referring to the OP and the OP's car when it comes to watching the tachometer to get a feel for things. After enough time behind the wheel (as MrFunk suggests) he'll likely get a better sense of how this all plays out just by instinct while listening to the engine working. That comes with a bit of time and and soon enough there is no longer any need to feel like you are continuously needing to stare at the gauges. I'd suggest that the OP take the time to really get to know how his car responds at various RPM levels across the rev range in each gear before worrying about making any changes to it. The only reason I personally could imagine wanting to change the point of engagement for VTEC is if the impact of the engagement were so abrupt that it was messing with the car's traction & handling (as with any user input that's too abrupt). I'm good with the stock VTEC engagement on my '05 model. I'd guess that engaging VTEC as low as 3600 RPM is introducing some stresses on the engine it wasn't designed to take over the long haul. I know the S2000 wasnt meant to be a straight line performer but I guess I expected better. But now looking at the numbers it all makes sense. So theoretically an 8th gen Si with bolt ons and a tune will be equal to a stock S2000 or outperform in straight line speeds from a roll. But no way in hell should a 160hp EP3 Si be able to beat me even from a roll, a EP3 Type-R will 100% beat me.